The little spit of land that protects the North Carolina mainland from the torrents of the Atlantic is known locally as the OBX --- Outer Banks. Not more than a few hundred feet wide in some places, it's a wonder that it is still there and habitable given how many forces of nature are constantly bearing down on her. What the campsite at Oregon Inlet campground lacks in privacy, it more than makes up for in convenience to some prime attractions – both natural and historical – and access to the Atlantic. If coastal fishing is part of a great holiday, then you may never have reason to leave camp. A short hike through the dunes is all that stands between you and the migratory fishing waters of the Atlantic Gulf Stream. Camping at the Outer Banks is often a challenge in both the rapidly changing weather and the relentless wind that comes off the Atlantic. Have a good plan for tethering down your tent and a well-practiced one before you attempt setting up in 20-30 mph wind. It's best to use all the tie-downs that your tent has available as the wind can shift from hour to hour. Also, don't leave anything out overnight --- it may be in the next county by the time you wake in the morning. Three loops with a tent-only loop (Loop A). Non-site specific reservations mean that early arrivals get the best selection. 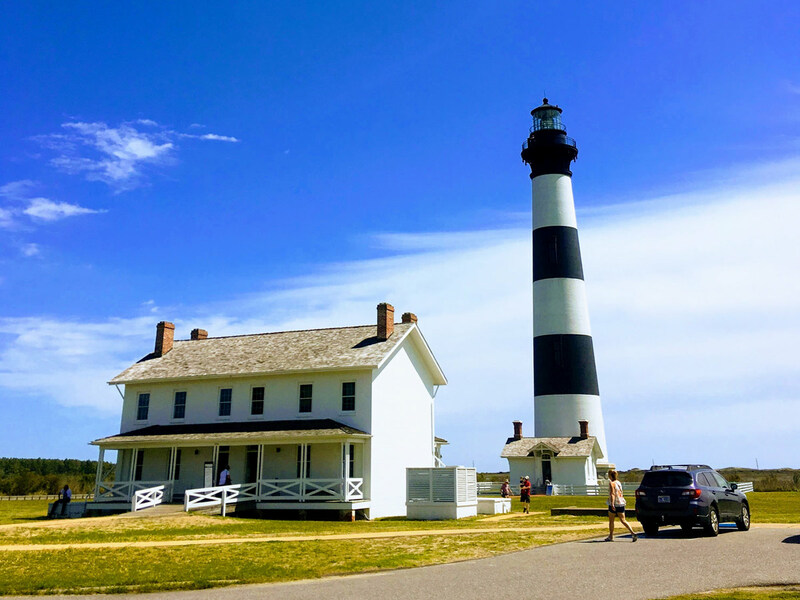 If you look northwest from your campsite, you will probably see the beacon on top of the 156-foot Bodie Island Lighthouse just a few miles up NC12. 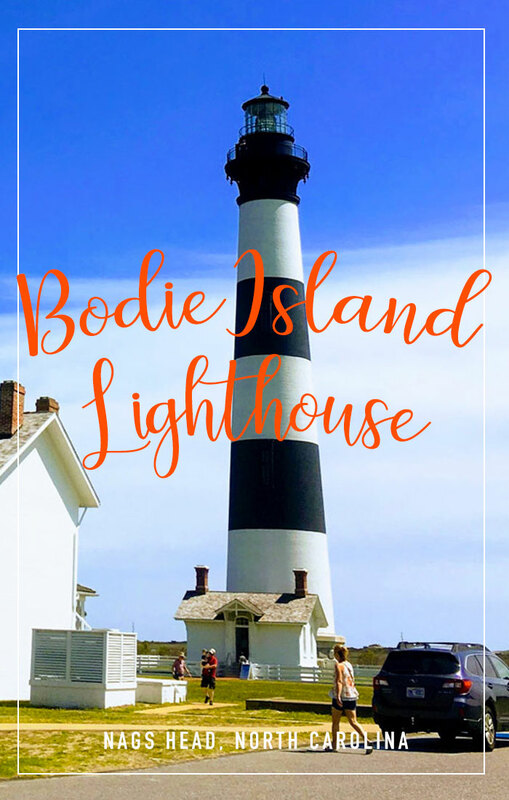 It is one of seven coastal lighthouses that grace the shores of North Carolina. 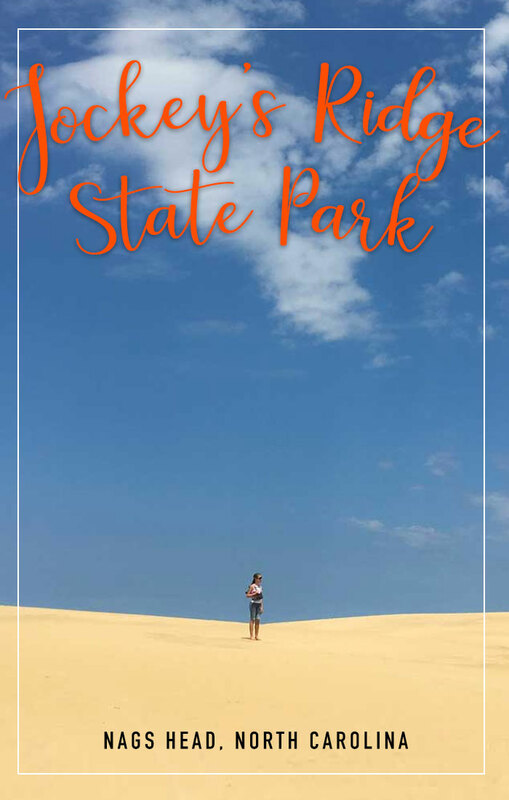 Purchase tickets at the visitor center and climb the 215 steps to the top for a unique view of the National Seashore. Kids ---complete your Junior Ranger workbook and earn a Seashore Ranger patch. 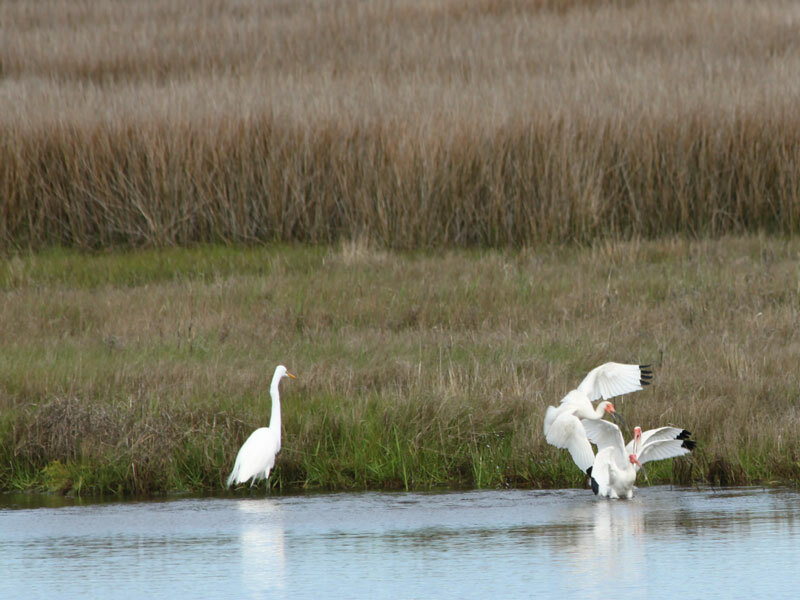 Established in 1938 to provide habitat for migratory birds as well as endangered species such as Loggerhead sea turtles, Pea Island National Wildlife Refuge also provides opportunities for public enjoyment of wildlife. A real gem hiding in plain sight, the refuge is only a short drive south from Oregon Inlet campground. Arrive early for the best birding and parking. Don't forget your binoculars and camera. Along the trail, we spotted red-wing blackbirds, snowy and great egrets, terns, loons, buffleheads, coots, comorants, white ibis, and cowbirds along with muskrats, yellow-and red-sliders, a corn snake, snapping turtles and otter tracks. 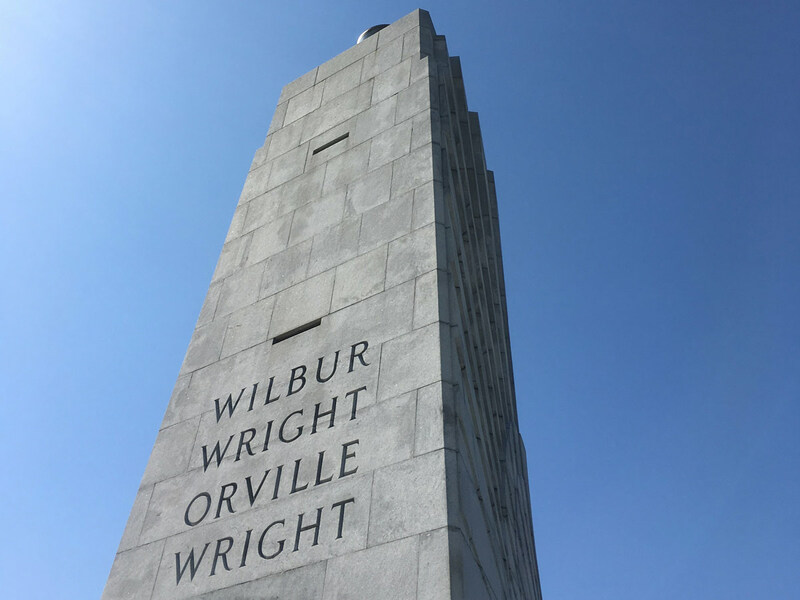 Almost no trip to the OBX is complete without a stop at the Wright Brothers National Memorial where the history of the December 1903 events come alive in a unique and immersive way. Run by the National Parks Service (NPS), a ranger-led presentation is given at a reconstructed barn and living space near the site of those first five flights. A larger memorial sits on a hill that overlooks the field from which you can see the surrounding area. If you have a 4th grader, then admission for the entire family is free under the NPS Every Kid in a Park Pass. Children can earn a Flight Ranger patch when they complete their Junior Ranger booklet and attend one ranger program. 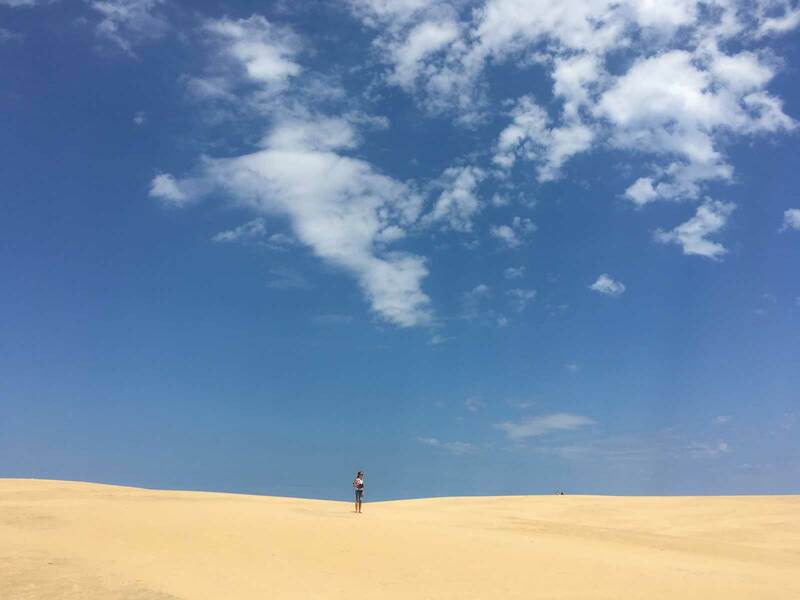 Located in Nags Head, Jockey's Ridge State Park contains the tallest living sand dune on the Atlantic coast, reaching heights of over 60 feet. 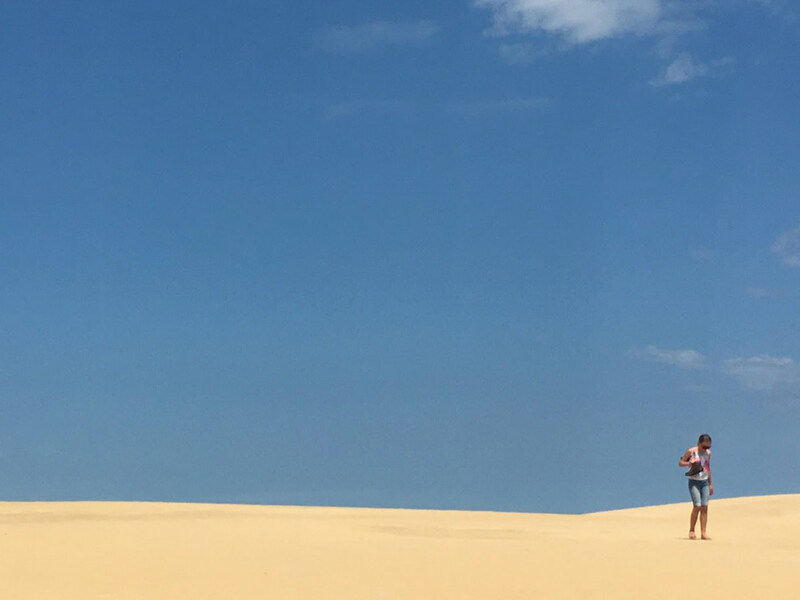 This 426-acre North Carolina state park contains three ecosystems: the Roanoke Sound, the dune system, and the maritime forest, as well as offering spectacular sunset views and a premier place for kite flying, sand boarding, and hang gliding. Picnic shelters are available and can be reserved. Time permitting, make your way across the dunes to the Roanoke Sound for a peaceful outing along the shore. From Nags Head to Roanoke Island is but a mere 16 miles so a visit to the aquarium is a must! Also consider this as an option on a rainy day or when you just need to get out of the summer heat for a spell. Educational films, stories, and an immersive touch tank all introduce you to the waters of North Carolina. Special programs offered throughout the year so check the website for details. 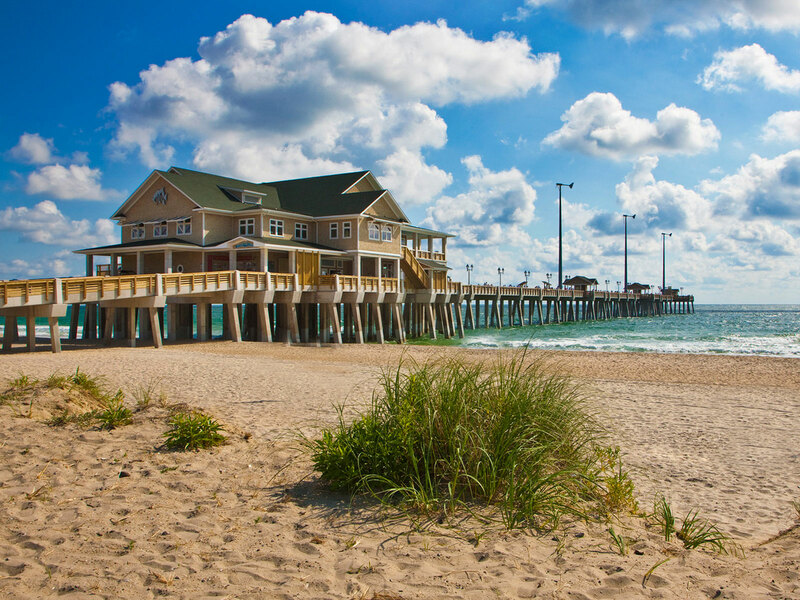 If you spend any time on the beach near Nags Head, it's kind of hard to miss Jennette's Pier. A local gathering place, the pier stretches 1,000 feet out into the Atlantic which makes for some awesome fishing, if that is your passion. The pier is also just a great place for a picnic or to enjoy the views. 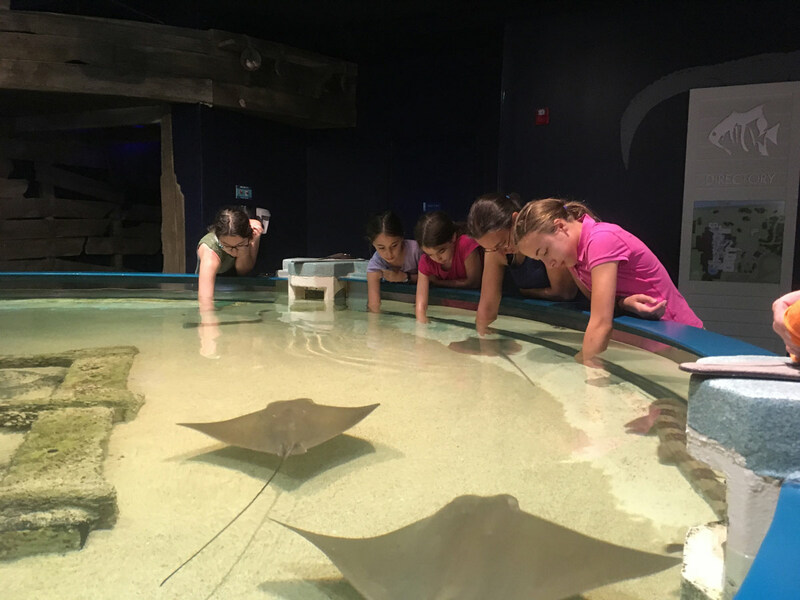 A nominal fee is required for walk-ons, but if you have a North Carolina Aquarium membership your entry is included. Children must be at least 42” and capable of climbing all the steps on their own.